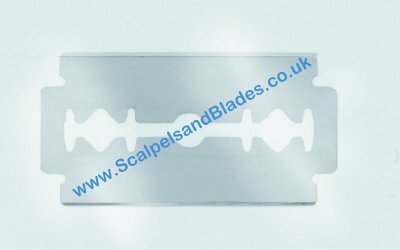 Combined with Swann Mortons surgical stainless double edged razor blades it is ideal for taking small intricate grafts from areas which would not be accessible with larger standard knives. The Silvers Skin Graft Knives are individually boxed ( Codes: 9911 & 9912 ) whilst the blades are sealed in foil packets. sterilised and boxed in units of 10 pieces ( Cose: 9942 ). 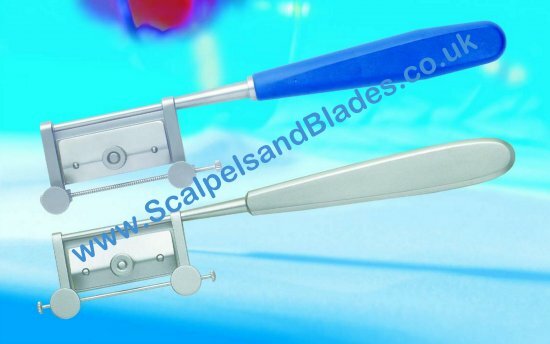 Blades in Stainless Steel - Sterile, inddividually V.P.I. protected in Metal Foil Packets.